Two Kohler model 55EFOZ marine generator, each having a capacity of 55 kw, 380 VAC, 50 Hz three phase. Model Miele clothes washing machine. Model Miele condense dryer with. carrying up to 4 crew onboard to ensure a relaxed luxury yacht experience. 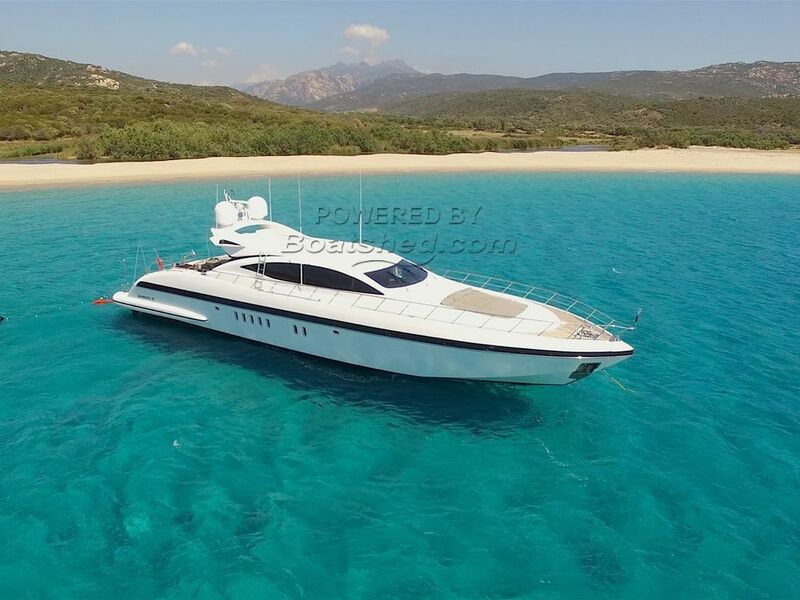 This Mangusta 92 3 Cabins + Convertible Lower Salon has been personally photographed and viewed by Antoine Perrin Daragon of Boatshed Riviera. Click here for contact details.